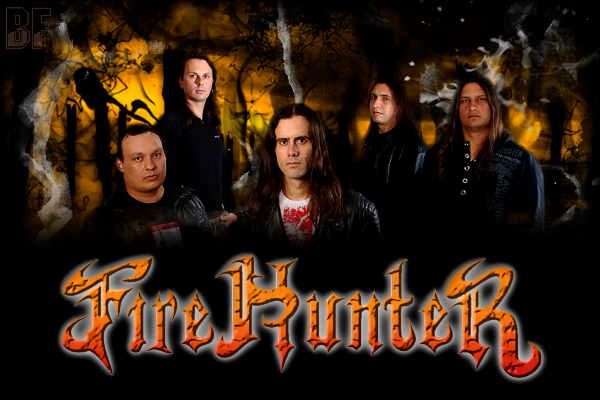 FIRE HUNTER is a 5 peice Heavy Metal band from Brazil and was formed in 2000. In 2001, they released thier first single "Ceremony". Their musical style is influenced by Iron Maiden, Judas Priest, Helloween, Europe, Edguy and so on. They have been playing in San Pauro and other places in Brazil and also they had a chance to play as an opening act for Angra, Eterna and Scorpions. 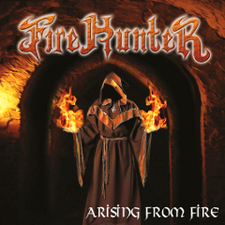 In October 2012, they released the long-waited first album "Arising From Fire". 2 songs from the album are now available for download on their website. FIRE HUNTER was featured by Fuchsia the owner of this site, on a Japanese radio program ROCK OR DIE Monthly #31 on COAST-FM in 2013. Here are 2 making videos for the radio spot. thanks everybody for the support!!! Thank you friends in Japan! We really want to play in your country! Brazilian rockers love Japan!